This is actually one of my favorite manga’s. 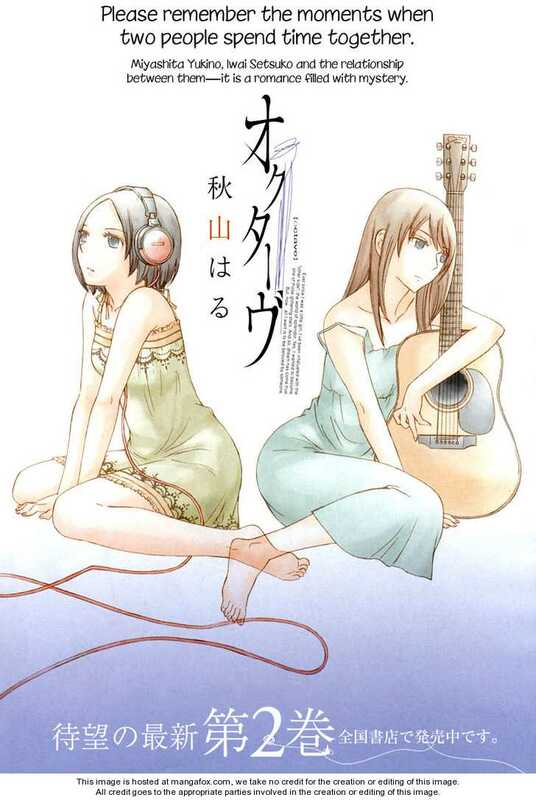 The story revolves around a former idol of a not-so-popular group when she was a teenager, Miyashita Yukino. Not willing to endure the bullying of high school after her failure, she decided to work in the industry as an assistant manager. Through her struggles, she meets a fairly successful song writer, Iwai Setsuko. Seduced by Iwai’s beauty, she explores her sexuality and eventually falls in love. However she struggles with her relationship as she is not only confused by her sexuality, but has taken on the toll of being a manager and coming to terms with her past. I really enjoyed this manga. You go through Yukino as she has to come to terms with many things in her life, with love being one of them. It’s a great coming of age story I think and perfect for our generation. The story is very deep though and very….angsty to say the least. Not VERY angsty where you want to cry, but the kind of angst where you’re kind of irritated. I enjoyed the artwork. It’s simple yet detailed enough. I do encourage anyone to give it a shot!